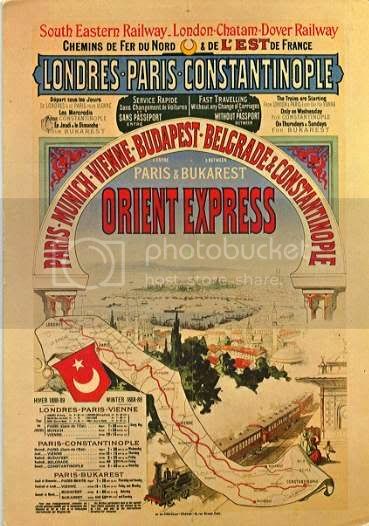 Okay, so maybe the Orient Express only went as far east as Istanbul. Give me a break. For some of us, Western methods of brewing just don't cut it. Whether it is the appeal of the foreign and strange, the beauty of age-old techniques (be they simplistic or extravagant), or the usually superior tea they produce, Eastern brewing (often called "gong fu," though this is really a more specific thing) fascinates us. Though the items I will describe here are not enough to follow Lu Yu's complicated protocol, they will be enough to get you started and keep you going for a while. You will need: 1) a Kettle, 2) a Gaiwan and/or teapot, and 3) One or multiple cups. Some optional items include: 4) a Faircup, 5) a Tea tray, and 6) a Waste bowl. There are many many other items that you could get, some of which others may insist on, but for most of you the extra tools will probably just get in the way. Needs something cheap, but more interesting/advanced than the previous guides. Wants to move past basic Western brewing methods and explore gong-fu. Loves anything and everything Chinese. Wants something relatively low-fuss, and doesn't want to deal with changing leaf every few infusions. Wants the very best that his/her tea leaves have to offer. Any kettle will do (see here for the full guide), but certain features become much more important when dealing with Eastern brewing. Eastern teawares are generally much smaller than their Western counterparts, so a smooth and accurate stream of water from one's kettle is important. A well-designed kettle is also helpful for varying the strength of your pour (some teas tend to do better with different pouring methods— I'm usually skeptical of the abstract hocus-pocus stuff, but this really does matter) and targeting certain points on a gaiwan. These qualities are especially important for brewing delicate green teas, so I hear, but can have a dramatic effect on other teas as well. How do you know if a kettle has a good pour? Spout design is obviously the main factor, but it isn't always easy to tell without trying it out first. Some things to look for are a somewhat long spout, a narrow spout opening, and a protruding lower lip at the end. You really don't need all these things to produce a serviceable pour, but in my experience, they help. Ultimately, you just want a kettle you can control. You don't need a terribly long spout, but you will want something that is at least a bit off the body of the kettle. Think of how much easier it is to be precise with a watering can vs. a big liquid measuring cup (you also don't have to worry about dripping as much). The simplistic designs with a notch in the body of the kettle are okay when you're aiming for a 2 cup teapot, but are a little harder to work with when you're trying to delicately fill a 3 oz gaiwan. The narrow spout opening allows you to stop the pour when you want, and makes it easier to maintain a thinner laminar stream of water. I prefer spouts like the one on my Kamjove, which is wide at the base, slightly curved, and tapered at the opening. The protruding lower lip at the end of the spout helps to prevent dripping. My guess is that it takes advantage of water's strong surface tension, but I don't think I could explain precisely how it works. Still, the best way to know whether a kettle has a good pour is to get user feedback. If you can find the kettle online, chances are someone on TeaChat owns it. Search the Teaware forum, then ask around or start a new thread if you don't see a pre-existing discussion on your kettle. 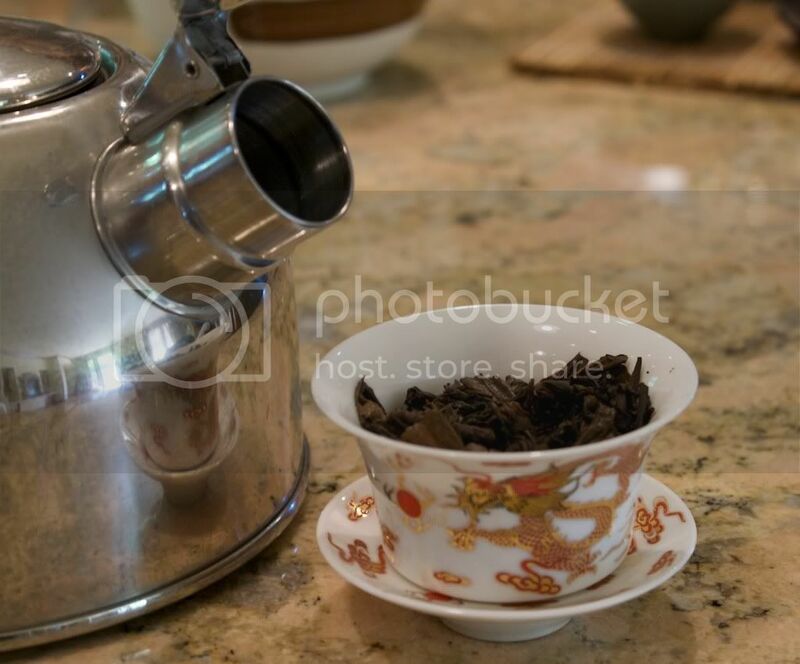 Owners of silver, cast iron, and ceramic teapots often tout the superior qualities of these materials over stainless steel, glass, and plastic. I don't doubt this, but they are much more expensive, so you will want to weigh the cost and potential benefits after some research. Also be aware that silver and cast iron usually require more maintenance than the others, and that neither silver, cast iron, glass, nor ceramic should be heated over a strong open flame (like a gas range). If you're just starting out, I would go with stainless steel; it's cheap and flavor neutral, as far as I can tell. 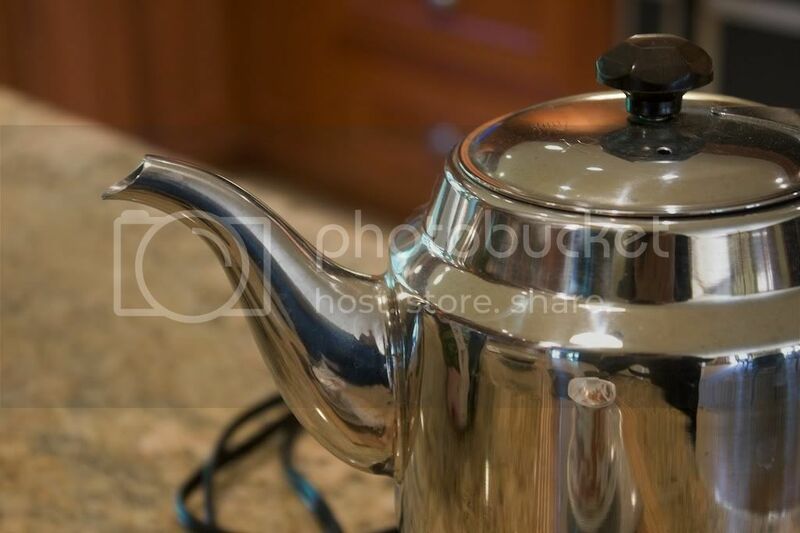 If you upgrade to a more expensive material later, the cost of your stainless steel kettle will likely be negligible anyway, so don't worry about starting out cheap. Glass is great too, but expect to pay slightly more than for steel. Electric kettles are cheap and easy to deal with, as are non-electric kettles on a gas/electric range or hot plate. Alcohol burners and charcoal are preferred by the same people who use silver, cast iron, or ceramic kettles, though I suppose you could use those fuels with a steel kettle if you wish. Alcohol burners are relatively easy to use; you can pick up denatured alcohol at most hardware stores, and they burn cleanly. They do take a while to heat up full kettles, though. Charcoal is the pinnacle of kettle fuel, but is way out of my league, so look elsewhere if you are interested in that. :) Don't even bother with those tea candle things. If you brew a lot of green teas, this may be a useful feature. I don't drink many greens and use boiling water for pretty much everything else, so I don't need this. This is a pretty rare feature to find in conjunction with a good spout design. These are ideal for budget gong-fu setups. They aren't the highest quality, but they are cheap enough to be replaceable. Mine is still going strong after roughly a year and a half. The auto re-boil feature is handy, but some kettles have been reported to stop short of a full rolling 212°F boil when set to auto. One of the two kettles I know of with a gong-fu appropriate design and variable temp. control. It is an induction kettle though, so be aware that it is loud (a fan is needed to keep the electronic components cool) and not exactly conducive to a peaceful tea session. The other one with temp. control. Made of glass, obviously, but also pretty expensive. I don't know if it uses induction or not, but my guess (because of the size of the base) is that it does. The Orient Express will keep chuggin' along with the next post. There's a lot to say! You need to write articles more regularly, mister. Not everyone is as disciplined as you, Hobbes! :) But yes, I should write more often. This one has been sitting as a draft for three months now, yikes. Even though I think I'm beyond the point of being a newbie, I still enjoying reading these guides, because they offer something that I may not know. After reading your other guides, I was definitely waiting for this one, especially since I fall under this category. Can't wait for the next part! Keep up the good work, your blog was literally the inspiration for mine. Thanks for writing this -- very helpful. About some teas faring better with particular pouring methods: could you say more about this, or provide links or sources? Thanks everyone, your comments are appreciated! One tea that seems to respond well to high-altitude pouring is dancong; a good dancong will explode with aroma if you splash it around a bit with a high, thin pour. The same applies for some other oolongs, like Wuyi yancha, though it is largely a matter of personal preference. On the other hand, I've heard that green teas should receive a low, smooth pour to avoid too much violence. Just a note I found your blog recently in an attempt to learn about yixing teapots. I enjoy your sense of humour and found your guide to be just what I was looking for as I fit precisely into the category of student broke but looking for something a little more advanced then my previous tea setup. Not often that I actually fall into a listed category, so it was a good feeling for me. I also very much appreciate the recommended sites, as it is hard to tell sometimes what is a reliable vendor. Welcome to Tea Nerd! If this is your first visit, check out some of these links to get yourself acquainted. Great for newbies to the tea world, I hope. For the true nerds among you. ...or just my Tea set. Videos showing my semi-crummy technique. Full list. For recent posts by my favorites, see below. USENET group. Make sure to learn USENET etiquette before posting. The most active tea forum, this is a great place for newbies and veterans alike. A more sophisticated and esoteric tea forum.